Having as a final goal the participants’ productivity increase. WE STAND FOR THE BLENDED LEARNING AS IT ALLOWS TO BALANCE THEORY WITH PRACTICE, in this case, by means of the virtual reality. The training is said to be blended as it represents the combination of classroom theoretical courses based on the encyclopedia content and the sequences of serious game in study and competition mode. Each chapter of the encyclopedia is explained by the coach through the dynamic content: videos, pictures, charts, animations. The chapters are directly related to the serious game sequences and provide to participants the necessary knowledge to make the right decisions in a virtual reality of the game. Economy and costs: as background: Principles, Cost of the Barrel, Profitability, Economic evaluation, Farm-out. 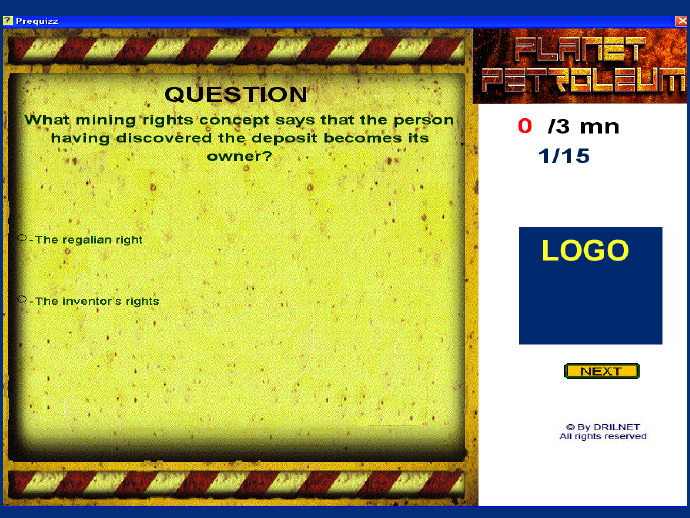 This training material remains available during the game sequences. 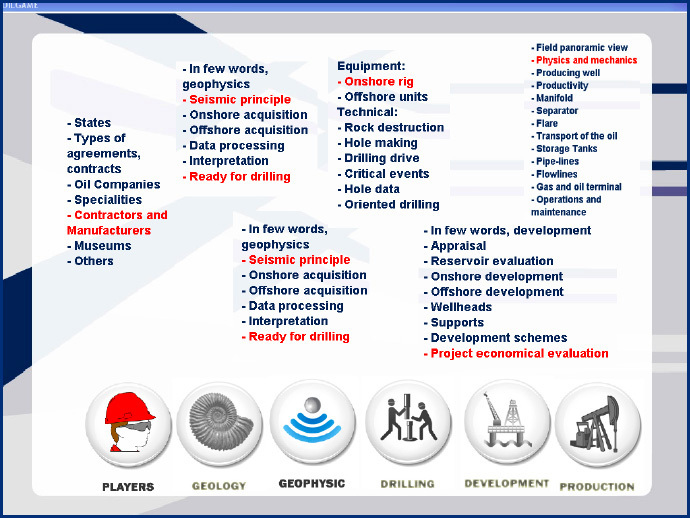 Being in turn Geologists, Geophysicists, Drillers, Producers, Economists, Chief Executive Officers, the participants establish their global strategy and face, as in the real life, technical and decisional risks in a strongly competitive environment. 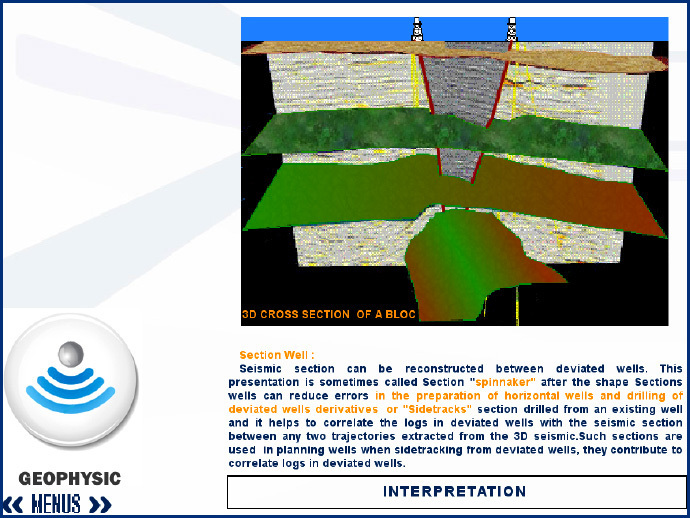 The evolution of the value of the company will reflect the assimilation of knowledge and principles of the E&P chain. The serious game can be operated in study mode, where every participant working at his own pace applies the theory in “real world” and acquires situational reflexes and skills. At the end of the each section, the attendees run Planet Petroleum in competition mode. Each attendee will start with the same parameters to finish with more or less successful results. And let the competitive spirit challenge them! On the last day, the final competition will show the knowledge and skills acquired by attendees. As managers of their own oil company, they will face financial constraints, time limits, random events, crucial choices which will demonstrate their reactivity and decision-making ability. The participants’ achievements are tracked automatically by the program, which records all intermediary and final results. The instructor analyses individual and group performances and submits the training report to the client. The attendees receive the certificate of completion with the final competition scores.